If you have ever accidently sent a shirt or pair of pants to the dryer with a ball point pen in the pocket, then you may be wondering how to remove set-in ink stains. You can use a homemade solution or a commercial cleaner to take care of this challenging cleaning task. Timing is everything when it comes to getting ink stains out of clothing, carpeting or fabric upholstery. The longer you let ink soak into the material's fibers, the harder it will be to eliminate the stain. What's more, applying heat to ink stains will make the removal process twice as difficult. This is especially true if you run an ink stained shirt in the dryer. The heat from the dryer sets the stain deeper into the fabric. To avoid dealing with set-in ink stains, be sure to treat ink marks immediately, otherwise you will have to employ the following tips to salvage your ink stained item. Typically there are two schools of thought when it comes to learning how to remove set-in ink stains. One involves commercial cleaners while the other features homemade concoctions. Both get the job done, though it is up to you to decide the method you prefer to use. There are a number of excellent commercial stain removers that are specially designed to remove set-in ink stains from fabric including Biz Stain Activated Booster. To give the Biz Booster an extra boost, you might consider mixing it with boiling hot water. Simply fill a large pot with water and bring to a boil. Next, add in about one cup of Biz and stir until it's dissolved. Once the soap is dissolved add in the ink stained garment and let it "cook" for about an hour. When time has elapsed, take the pot of the burner and allow the stained item to cool. Finally, pour the contents of the pot into the washing machine and clean it per the item's washing instructions. The set-in stain should lift during the process. If you are wondering how to remove set-in ink stains from carpets or fabric upholstery, consider using Orange Miracle. The stain remover spray features a fast-acting, super-oxygenated cleaning formula that works well to remove set-in ink stains. 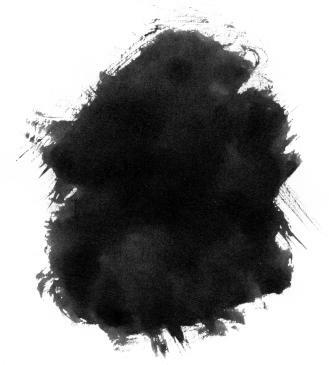 Simply spray the affected area and blot continuously until the ink begins to lift. Sandpaper: Sandpaper does wonders to remove set-in ink stains on suede and leather. Simply use a fine grain sandpaper to gently buff the stain. Once you have lifted most of the ink, dip a soft bristle toothbrush in white vinegar and lightly scrub the stain. Once the stain is gone, use a dry toothbrush to fluff up the nap. Butter: Believe it or not, a stick of standard butter can help remove set-in ink stains from vinyl bags or purses and cotton and denim garments. Just rub the stain with some semi-soft salted butter and sit it in a sunny place. Your best bet is to expose the treated stain to direct sunlight by placing it outdoors. The oil in the butter will help lift the ink stain, while the combination of salt and sunlight works to fade any residual marks. Cornstarch and milk: This combination helps to eliminate set-in ink stains from carpets. Just mix cornstarch with milk to make a paste. Next, carefully apply the paste to the ink stain and allow it to dry. Once the mixture has hardened, brush it off the affected area and vacuum per usual. Still wondering how to remove ink stains? If all else fails, consider removing set-in ink stains with bleach. However, this method is not recommended on non-bleach or colorfast fabrics. If the ink stain is really set-in, then scrub it with a mixture of bleach, liquid laundry soap, and boiling hot water. Treat the stained item and allow it to sit overnight before laundering per the washing instructions. Finally, some people swear by fresh lemon juice to remove stubborn ink stains. Soak the ink stained garment in lemon juice, wring it out and set it out in a very sunny spot.